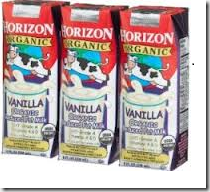 High Value Coupon for Horizon Organic Milk at Target! Target Is having a good deal for Horizon Organic Milk 3-pack or 3 singles! combine the target coupon and manufacture coupon to grab this item for $1.74. 2.Use two $2 Target Coupon. 3.Use One $0.55 Manufacturer Coupon . Buy 2 CoverGirl Eye Enhancers For $2.98 at Walgreens! High Value Coupon for Air Wick National Park Products!